The 10 Biggest Questions Fans Have Regarding "Guardians of the Galaxy"
The stage has been set for the showdown between Earth’s mightiest heroes and the sentient automaton known as Ultron. But before the fireworks begin, Marvel wants to send audiences across the cosmos to shed some light on a band of intergalactic anti-heroic outlaws. Star-Lord, Gamorra, Drax the Destroyer, Groot, and Rocket Raccoon are the Guardians of the Galaxy (and yes, they are a bunch of @$$holes)–a lesser known unit in the Marvel Universe compared to the Avengers, Fantastic Four or X-Men. Surprisingly, the team has maintained a steady following since their induction into the Marvel Mythology and their notoriety has surged as of late in other forms of media, as well as cinema. With their big-screen debut on the horizon, a lot of fans can piece together what is known about them, but what is more interesting is what isn’t known about the Guardians and their relation to the rest of the installments of Marvel’s Avengers Initiative (a.k.a. the Marvel Cinematic Universe). Fans are hopeful that this movie can answer some core questions to get a sharper image of what has transpired so far. 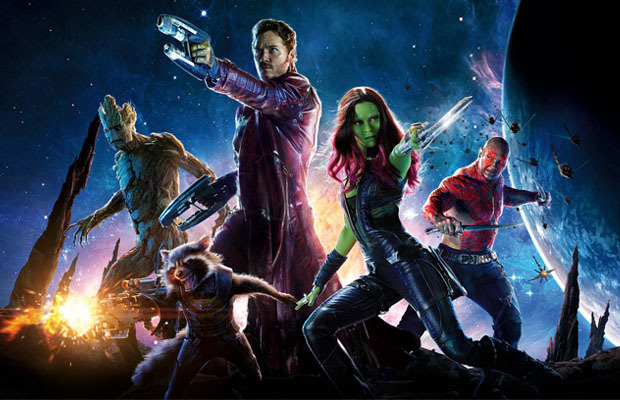 These are the 10 Biggest Questions Fans Have Regarding Guardians of the Galaxy.